One of the main tasks of the International Turkic Academy is studying and promoting common values ​​and heritage of Turkic peoples. 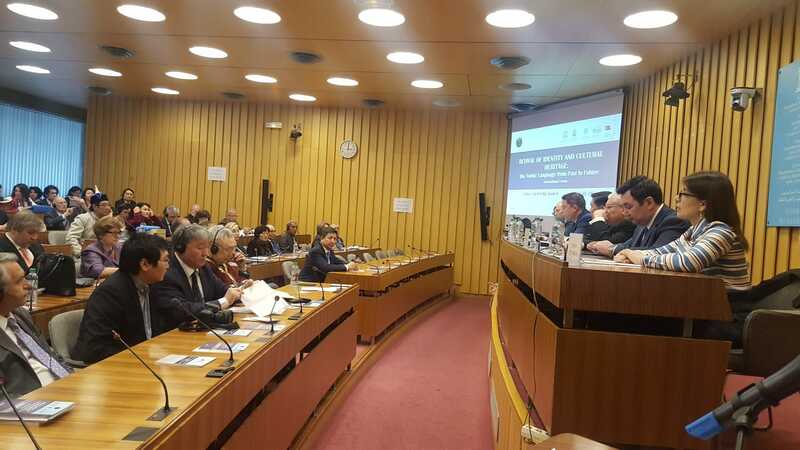 In this regard, the Academy held an international forum on "Heritage of Korkut-Ata and the Turkic World" in France in 2015. In addition, the Common Turkic History till 15th century textbook was prepared; and the Contents of Common Turkic Geography and Common Turkic Literature were developed and submitted to the discussion of the parties. There was also the first social research project, the Turkic Barometer, implemented among 6 Turkic states. 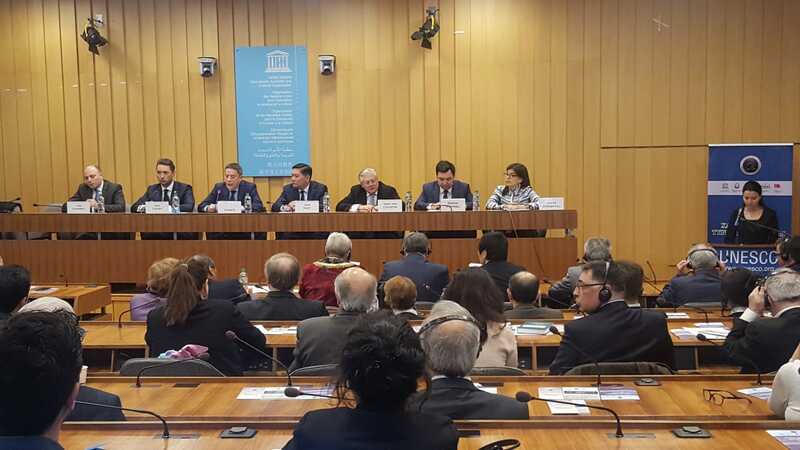 Along with these events, within the framework of UNESCO’s Midterm Strategy for (2014-2021) and with the aim to contribute to the UNESCO strategic task on "Protecting, Promoting and Transmitting Heritage", the International Turkic Academy held an International Forum on “Revival of Identity and Cultural Heritage: Turkic language from Past to Future” at the UNESCO Headquarters in Paris on April 30, 2018. The forum will be attended by international Turkologists, cultural and public figures, politicians and diplomats from 16 countries. Panel 3: "Region of the Turkic Language Spread". 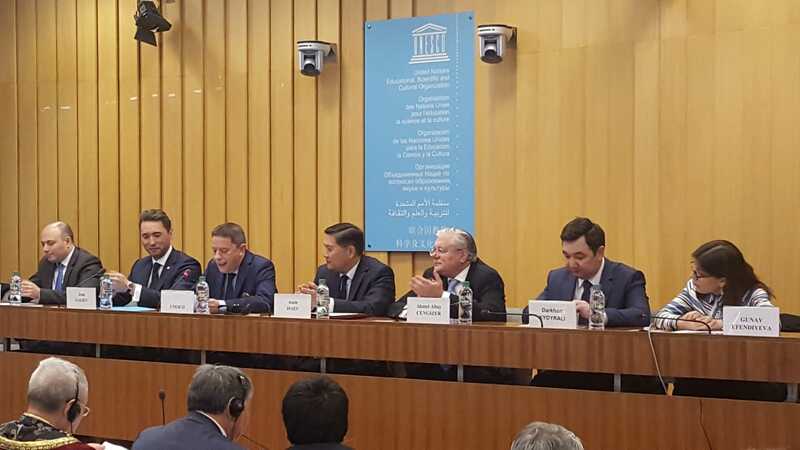 In these panel-sessions, researchers of international level such as M.Zh.Zholdasbekov (Kazakhstan), D.Vasilyev (Russia), I.L.Kyzlassov (Russia), S.Khurtsbaatar (Germany), R.Monhtulga (Mongolia), D.Lavrinovich (Lithuania), O. Oguz (Turkey), M. Ivanich (Hungary), O. Ibraimov (Kyrgyzstan), N.A.Nazarov (Tajikistan) and other scholars made special reports on such important issues as Turkic inscriptions, Turkic manuscripts, modern Turkic languages ​​and regions of their spread, as well as endangered Turkic languages. Scholars, politicians and diplomats from 16 countries participated in this important international event. Representatives of Turkic nations, such as Uighur, Shor, Tuva, Altai, Karaim, Kashkai, Nogai, were also involved in the event. This remarkable event was organized with the good will to promote our knowledge and signs collected countless days and thousand years.